UPDATE – 2/21/17: There’s been a big change to the New York Times bestseller lists. Click here to scroll straight to the update. It’s been just 8 years since I worked on my first book launch campaign. But since that time I’ve worked with hundreds of authors in just about every marketing capacity you can imagine. I’ve played the role of publicist, community organizer, web developer, social media expert, and on and on. In various roles, I’ve bumped into the New York Times and Wall Street Journal bestseller lists many times. I’ve helped launch two #1 New York Times bestsellers, and several top five bestsellers. At one point, five of my clients had books on the NYT list at the same time. While I haven’t tracked the Wall Street Journal list as closely, I’ve had quite a few hit that list as well. I also have my hands in a few launches right now—some now finishing up, and some just getting prepped for later this year—and more and more, I’ve become incredulous at the complete disaster that are the major bestseller lists. As I’ve prepped to write this article, I’ve had trouble organizing all of my thoughts, data, stories, and sources into one cohesive narrative. So instead, I’ve decided to list point-by-point, in no particular order, the things I’ve either personally witnessed or experienced via one of my clients or colleagues in the publishing industry. My goal is to shed some light on what really goes on with the two top bestseller lists—the Wall Street Journal and New York Times—and offer some information to authors who are hoping to hit them one day. It’s true, the bestseller lists are becoming obsolete. There are plenty of books that, despite never gracing the pages of the WSJ or NYT, go on to sell thousands of copies, and have a great fan base. However, the fact remains that having a New York Times or Wall Street Journal bestseller can greatly enhance your career. Since the publishing industry still shows great deference to these lists, hitting them significantly impacts the advance on your next book contract. If you’re a nonfiction author, and particularly if you write business books, it means more speaking gigs, higher consulting rates, higher visibility, and an enhanced reputation. It also means more sales. If your book is a bestseller, it all of a sudden gets more face time on bookstore shelves and other promotions. It’s a self-feeding system. It also means more appearances in the media. NYT bestsellers get phone calls and emails from the media. And let’s face it: it matters because it’s pretty damn cool to be a New York Times and Wall Street Journal bestselling author. WSJ or NYT bestseller = More money for authors, publishers, and agents. What exactly is a bestselling book? Here’s a brief intro to how it really works. Further points will go deeper into some aspects of this. WSJ builds their list based on the sales figures they get from Nielson’s BookScan. In general, if you sell the most books in a category as reported by BookScan, you will hit #1 in that category in the Wall Street Journal bestseller list. Except that BookScan doesn’t track all purchases. It doesn’t include sales made through some big box stores, such as Walmart and Sam’s Club, which doesn’t affect most of us. However, it also doesn’t include sales from CreateSpace and other self-publishing platforms, which affects thousands of authors. But overall, it’s the most accurate data source, and reports about 75 to 85% of book sales, depending on who you ask. More on the WSJ later. A riddle wrapped in a mystery inside an enigma, as the saying goes. NYT keeps a tight lid on their process for selecting bestsellers. It is known that they sample their own list of certain booksellers across the country—though which ones is a tightly guarded secret—then look at the data with their wise NYT brains, and decide who they think should be on the list. It’s said that this is done to keep people from gaming the system, which is partially true. But it’s also done so that the New York Times can have a say on which books get the extra credibility of being a bestseller. I’m certainly not the only one who sees potential problems with this system. Remember: NYT and WSJ list = More money. So a small group of people look at highly selective data to decide who they deem important enough to be called a “New York Times bestseller”. We’ve laid some groundwork, so now I can share the really weird stuff. Who does the NYT love? A friend of mine has access to the weekly Nielson BookScan numbers—that organization that tracks 75 to 85% of book sales. Last year, he decided to go back and compare BookScan numbers to the NYT bestseller list, to see if he could find anything interesting. Since NYT does its own secret reporting and choosing, he wanted to see if he could find any signs of bias. If you happen to work for the New York Times and have a book out, your book is more likely to stay on the list longer and have a higher ranking than books not written by New York Times employees. If you happen to have written a conservative political leaning book, you’re more likely to be ranked lower and drop off the list faster than those books with a more liberal political slant. Why the separate lists for digital and print copies? From an author’s standpoint, this is maddening. I’ve been involved with book launches that have sold more than enough copies to hit the bestseller lists, but because the numbers were split between digital and print, they didn’t make it. In what world does it make sense that it matters whether I buy the book in paper or in digital format? I still bought the book. I still thought it was worth the money. But for some reason, the NYT and WSJ lists think paper counts as a sale more than digital. Arcane and antiquated are the only nice words that can be used here. Readers aren’t concerned about modality, so why are the bestseller lists? Let me change gears here, and give at least one reason that established lists have to make so many weird rules. The bestseller lists are forced to jump through a lot of hoops, because people are constantly trying to game the system. If I’m a rich person and I publish a book, what’s to stop me from just buying 20,000 copies of my own book and putting myself on the list? I think we can all agree, that while we want the bestseller lists to reflect the bestselling books, we don’t want people to be able to buy their way onto the lists either, right? So the bestseller lists try to put some checks and balances in place, to make sure people can’t do this. So what happens? Book launderers start popping up. And how does book laundering work? Step 1. Find a book laundering firm. There’s a handful of them out there. ResultSource is the most well known. Step 2. Write them a check to cover their fee. They don’t work for free, after all. Step 3. Write them another check – for your books. This check is to buy copies of your book. It depends on the campaign, but it’ll always number in the thousands. We’re trying to hit the bestseller lists here, after all. Step 4. The firm launders the sales. It hires people all over the country to buy books through various retailers one at a time, using different credit cards, shipping addresses, and billing addresses. This allows the sales to go through and show up as individual sales, instead of bulk purchases. These sales then get reported to Nielson BookScan. Step 5. Pop the champagne corks. You’re now a bestseller. The Wall Street Journal itself. World Magazine which outlines the specifics of a ResultSource contract. The word of an insider—a friend who used to work for one of these firms, and headed up the book laundering side of the business. The person quit when they became sick of the low ethical and moral aspect of the entire operation. They explained the whole system to me. Now we’re getting into a truly gray area. Individual sales should count. If I walk into a bookstore or log on to Amazon.com and purchase a copy of a book, that sale should count on the bestseller lists. Huge bulk purchases from the author shouldn’t count. If you decides to order 10,000 copies of your own book, that shouldn’t automatically put him on the NYT bestseller list. What if an online book club wants to purchase 50 copies of your book—one for everyone in their group? Should those count as 50 individual copies, or as one bulk purchase? What if one of your clients is bringing you in to speak to their entire department of 108 people, and wants to buy a copy for everyone in attendance? Should that count as 108 individual copies, or as one bulk purchase? What if an association wants to buy a copy of your book for each one of their chapters, which are spread over a couple of hundred cities across the United States? Should those count as a couple hundred individual sales, or as one bulk purchase? What if someone wants to buy 10 copies of your book to give away as Christmas presents? What if a company wants to buy 1,000 copies of your book to give away to all their new clients over the next two years? Do those count as individual copies, or as one bulk purchase? Here’s where it really starts to get fuzzy. Because in each of these cases, individual people are getting a copy of the book. Sure, they may not read it, but how many books line your own bookshelves that you’ve never gotten around to reading? Different people will have different opinions on each of these scenarios. If I’ve worked hard to build a fan base or client base that will purchase multiple copies of my book, shouldn’t I get credit for those? But if I, as an author, go around and buy copies of my book in multiples of 50 and 100 and then store them in my garage, those probably shouldn’t count. This is where the bestseller lists run into trouble. It’s extremely hard to police this sort of thing. What would you do? We’ve already talked about the book laundering scheme, but here’s another way to pull off the bestseller list with sheer brute, monetary force. I was brought in to play a small role in a book launch a few years ago. Leading up to the launch date, I was on a few conference calls that outlined the author’s strategy for hitting the NYT and WSJ bestseller lists for a book. Hired two high-end book publicists to get him booked on as many television interviews as possible. Purchased full page ads in national and local papers across the country. Ran advertising in Times Square in New York City. Paid the fee for the book’s publisher to have the book placed on the front tables at Barnes & Noble. And my favorite: He hired people all over the country to go into their local Barnes & Noble and purchase every copy of the book one-at-a-time, with cash. Did it work? Yes. The book debuted on the NYT and WSJ bestseller lists. Of course, the following week the book dropped off the lists, and was never seen again. 95% of the sales happened in the first week. WSJ or NYT bestseller = More money. 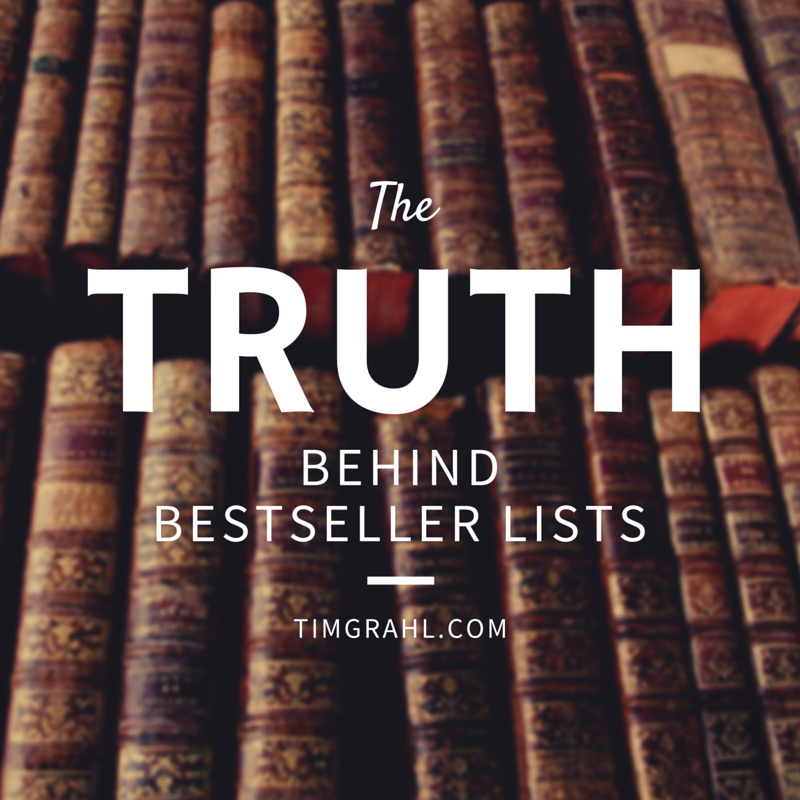 As I type this, there’s a huge shift happening inside the bestseller lists. I’ve been on calls with people from two major publishers, and they can’t seem to give me a straight answer on how books are being reported and what is making the lists. They can’t tell me, because they don’t know. They don’t know, because the lists keep changing the rules without telling anyone. Apparently, the WSJ list has tightened its rules on bulk purchases. A recent book supposedly sold enough individual copies to make the list, but then was thrown out, because they also had a lot of bulk copies. This, of course, makes no sense, but as an author, you’re at their mercy. One of my clients has worked really hard to establish great relationships with their clients, who are now interested in buying the author’s new book in bulk. But with the new rules, we’re not sure what to do. Should we go ahead and let them order in bulk, and potentially get the book blacklisted? This author has done the work ahead of time to make the book successful, with the goal of hitting one of the major lists, and now it could very well be for naught. When the rules are fuzzy, hidden, and constantly changing, what can you possibly do? A while ago, a colleague of mine wanted to run a campaign to his author platform for his new book. 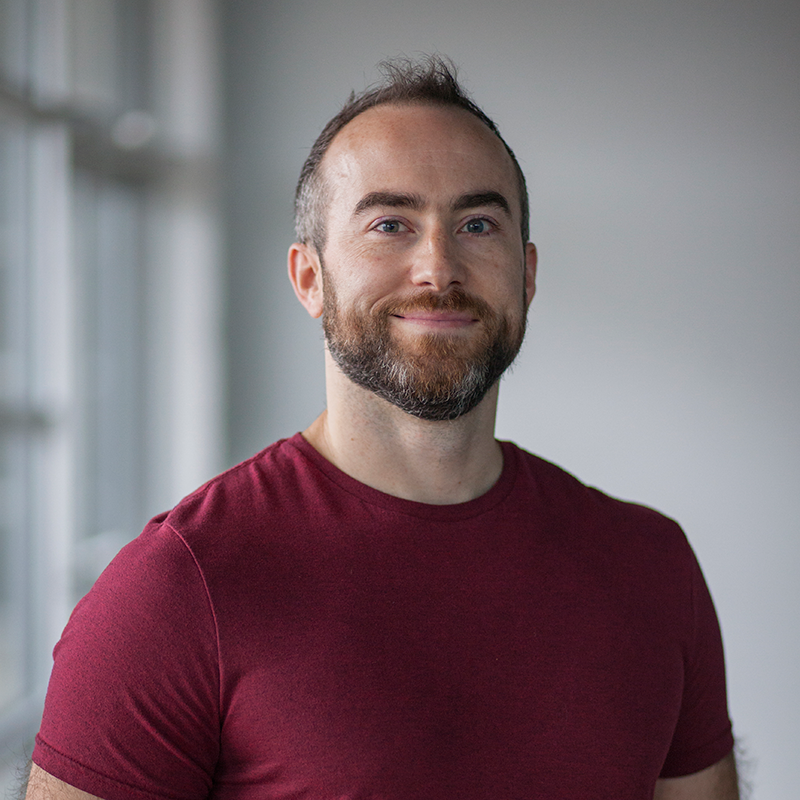 He checked with his publisher to see if they could take the orders through his own website, so he could give special bonuses to early purchasers, and still get them counted as sales through one of the major book chains. The publisher checked on it and said they could. He asked if they were sure. They said yes. The author ran his campaign, sold thousands of books, and then turned in all the names and orders to his publisher. They sent the list to the retailer. The retailer decided they didn’t want to do it. Since the publishers have made the retailers their customers instead of the readers, they didn’t want to push too hard to get the retailer to accept the deal. So they caved, and told the author “sorry,” but there was nothing they could do. Huge investment of time, money, and effort to become a NYT and WSJ bestselling author. Time, money, and effort that had paid off in enough sales, that got thrown out and never saw the light of day. Hugh Howey’s Dust sold more than 50,000 copies in its first week, yet only debuted at #7 on the NYT bestseller list—even though it far, far outsold books that were higher on the list. Fantastic question. Apparently, the people making the decisions about which books are selling the most copies (notice the contradiction there?) didn’t think Dust was quite good enough. This is the problem with having these decisions made by a hidden group of people who are highly selective with their data. Real numbers don’t matter to them. Here’s another article for you to take a look at. It’s short but to the point. The New York Times samples different stores across the country and weighs book sales based on where they are purchased. It means that a hardcover copy of your book purchased on Amazon.com is counted differently than the same hardcover book purchased at indie bookstore X. At this point, do I really have to say how ridiculous this is, and how it punishes authors and readers alike? As authors, what can be done with this? Yes, WSJ and NYT list = More money. And it’s hard to ignore that, but we must. The only answer to this debacle is to stop worrying about hitting the major bestseller lists. At this point, the results are so far outside of an author’s direct control, that it doesn’t make sense to make these lists a goal anymore. Instead, focus on the reader. Make your book available at the stores or websites your readers buy books from, in the formats they buy in. Make it easy to buy and easy to read. Don’t make the lists your customer. Keep the reader your customer—the people you’re really writing books for. Tim says: This update is from Celeste Fine of Sterling Lord Literistic agency. This is the letter she’s sending out to her bestselling clients about the recent changes to the New York Times bestseller list. As you can see, what I wrote in the original article above is more relevant than ever. I will be the first person to tell you that you should not go broke trying to hit the New York Times Bestseller List (“The List”). Why? The List is not a straight sales numbers measurement. It is a secret formula and curation that only the NYT knows. So you can find yourself outselling your competition and not making The List. The List is a measurement of your comparative success in a single week against books in your same category. At the beginning of each week, your sales numbers drop back down to zero, and the competition begins all over again. So you could find yourself hitting The List one week and then selling so few books every other week that hitting The List does little to earn you royalties, improve your next book deal, or build your audience. That being said, the spirit of The List is to highlight the top books in your category that readers will see in stores, in the media, and in other readers’ hands around the country and becoming part of that elite group of books can bring advantages as part of an overall strategy. It can help promote you to people who buy books and get you more and better placement in stores. It can potentially help book more and better publicity and speaking. It can help improve the terms of your next book deal. It is also important to know that the NYT has added a few monthly lists, but the advice in this email focuses on the weekly lists. Whatever your strategy is when it comes to The List, here is the best information you should know from an insider’s point of view. While you probably know people who have written New York Times Bestselling books or people who have outsold other authors throughout their careers and have never made The List, I am asking you to forget everything you think you know about becoming New York Times Bestseller, so you can read this information with a fresh perspective. The Lists focus more on perennial bestsellers, who hold their spots week after week. For the How To List 0-2 spots will open up each week. For the General Nonfiction List, 2-5 spots will open up each week. It now takes about the same number of copies to hit the List, 10K+ copies, but now it takes about 5-10K copies a week to stay on the Lists (it used to be 3-5K copies). THE BIG BUT: The NYT seems to be doing more curating than ever, so it is less of a straight sales calculation. The NYT is weighing heavily whether they project that your sales will be 5-10K copies a week for a few weeks or whether you will maintain these sales for months. Every week is different, so there is no set number of what it takes to hit The List each week. Weeks where sales are relatively low for all books are considered soft weeks. Weeks where the competition is stiff and sales numbers are high across books are considered hard weeks. But these print sales goals should get you on The List and keep you on the The List for most any week provided you are not curated off The List. The NYT has an undisclosed group of retailers around the country that report their sales to the NYT. Every week, these retailers receive a NYT Bestseller Watch List of 50-70 books for each List. On Sunday, these stores report point of sales numbers for these books from the previous Sunday AM to Saturday close of business. The NYT then spends Monday and Tuesday curating these books by way of a secret formula, and the resulting List is available around 5 PM on Wednesday to subscribers of TimesDigest. These Lists become available to the public online and in print two weekends later. Below you will find educated theories on factors and flags that the NYT considers when curating The List. Sales and distribution matters. In addition to total sales, distribution across retailers and regions is considered. The NYT wants to make sure that they are selecting books that demonstrate a breadth of sales across the country and across retailers. It seems that any single retailer that reports significantly more sales than all other retailers don’t count as much (some say they are thrown out entirely). Popularity matters. Household name recognition is a factor, which gives celebrities and publicity-driven books an advantage. NYT bestseller alumni and current NYT bestsellers get preference over new authors to The List. You will often see these books hit and hit higher with fewer sales than new authors or lesser known authors with more sales. The NYT also seems to weigh in sales stamina. It seems the more weeks a book does well, the more likely it is to be curated onto The List. NYT relationships are considered. Buying ad space with the NYT or having a NYT relationship or connection seems to help. Subject preferences. The NYT seems to be curating off health, diet, and fitness books and curating on personal development and business books. Not sure if this is a sensibility thing or a result of the FDA’s crack down on health promises in books. Bulk orders don’t always count 1-to-1 for sales. Amazon orders to the same address count as 1 sale, whether you order 1 book or 1000. Sometimes you will see books hit The List with a dagger that specifies that bookstores received bulk orders. Sometimes these bulk orders can raise red flags about whether an author is gaming the system and get a book curated off of The List. We have seen this happen several times with HarperCollins and B&N bulk buys. Books A Million seems to be the best place to purchase bulk orders for events or marketing campaigns at the moment, but the rules of bulk orders are always changing. No cheating. The NYT and Bookscan are both flagging and curating off books they think are gaming the system. There are mixed theories about preorders. On the one hand, some folks say preorders don’t count or don’t count as much as sales that happen after the book publishes. On the other hand, we have heard that the NYT factors in what accounts order and have in stock, which is a result of preorders. How preorders count seems to be a moving target at the moment. The question of e-books. We have heard that e-books are more heavily weighted, but we haven’t seen that to be the case firsthand. Too salesy? A publisher told us that the NYT curated off one of their authors because they thought their online promotions were too salesy. Who knows if this is true. Amazon ranking. We heard that the NYT watches Amazon ranking to make sure the demand is real, but we haven’t been able to see patterns with this. Becoming a New York Times Bestseller is a hard-earned, moving target, and if you find yourself selected for the honor, congratulations! Make sure your publisher adds the distinction to the jacket for your next print run, add it to your bio, add it to your website and social media, and sing it from the rooftops with friends and family. And from us to you, wishing you so much luck if this is a goal that is right for you personally and professionally. We hope these insights are helpful on your journey.